Laser part marking delivers a permanent, highly readable mark that enables effective traceability. Laser marking and engraving applications vary widely, making it a smart option across a variety of industries and range of materials. Part traceability, the capacity for tracking a component and its relevant history throughout its life cycle, is more important than ever in today’s industrial environment. The growing complexity of supply chains in addition to the threats of counterfeiting and product recalls have prompted many modern manufacturing operations to implement high-quality permanent laser part marking systems. These systems are able to link unique identifiers – such as 1D linear barcodes or 2D matrix codes – to a computer-enabled database via MECCO’s EtherMark technology or custom graphical user interfaces (GUIs). The marked codes can provide invaluable track and trace information, such as part number, lot number, and manufacturing date. Laser marking and engraving systems can mark a wide range of materials. These include both organic and inorganic materials. Depending on your application, you may require a fiber, CO2, or diode-pumped laser. For a lower wattage laser that specializes in brighter, crisper marks on plastics and aluminum, MECCO offers a unique diode-pumped laser with patented diodes pumping YAG Crystal. This type of laser uses a higher peak power to removes paint, anodization and oxide 25-50% faster while brightening the base material significantly. The CO2 Laser is a carbon dioxide continuous wave laser that is ideal for marking wood, glass, plastic and rubber. Explore the different laser part marking methods in depth, including when to use and which product can accomplish each technique. You'll also find links to videos that show the marking in action. Commonly used in the medical industry for its ability to make clean, hygienic marks, carbon migration occurs during the heating of metal or metal alloys, causing the metal to chemically bond with traces of carbon molecules at or near the part’s surface, creating a dark – sometimes even black – permanent mark. Laser annealing refers to localized heating that changes the color of the material being heated depending on temperature of the heat. Popular for marking metals, annealing leaves smooth, dark, non-oxidizing marks. Laser bonding, great for a variety of metals, glass, ceramic and plastic, is unlike any other type of laser application in that it is an additive process that affixes material to the surface/part that is being marked. Laser cutting is fast, precise and delivers a high-quality finish through a non-contact process at a defined focal length. Cut high-precision patterns out of a variety metals, including steel, titanium, aluminum and copper as well as some plastics and glass. Used in automotive, electronics, and medical industries, laser discoloration on plastic happens when color is changed from the pigments or additives interaction with the laser’s localized heating. 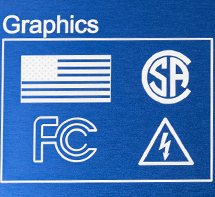 Laser etching and engraving can be done on almost any part, making it a great solution for traceability in a variety of industries. The mark left by laser engravers and laser etching is permanent, weather-resistant and great for a variety of applications. Laser marking is a permanent process that leaves a lasting mark on a surface through a variety of methods. 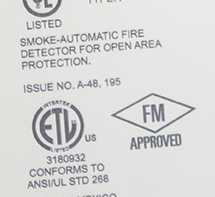 This marking can be done with a pulsed or continuous wave laser to add barcodes, unique identification numbers, and other traceability information. Laser welding, most prominent in the automotive industry, utilizes a laser beam as a concentrated heat source to join multiple pieces together. Delivering a focused heat source, laser welding creates a strong seam at a high speed. Laser ablation refers to the removal of a layer from the surface of a part. Individual layers can be ablated without damaging the underlying surfaces, making it an ideal solution for a number of industries. As you can see, any variety of factors can affect the type of laser application – and laser technology – that you choose for your operation. That’s why MECCO offers free sample marking through our state-of-the-art applications lab. Here, our experts can ensure you are getting the right mark every time, reducing waste, increasing quality, and saving you money. Across our long history of innovation, the MECCO team has lived by this philosophy: Understand what our customers need and give them the highest possible quality marking and traceability solutions. As a leading laser part marking manufacturer, we offer a full line of laser marking systems and engineered solutions, in addition to time-saving integration technology as a Rockwell Automation Encompass™ Product Partner . Our experts guide you to the best solution to help you be more efficient, more productive, and more competitive in an ever-evolving market. We call it The MECCO Experience. Contact us today to learn how we can help you mark better. See these marking applications in action in the MECCO Video Library, where our lasers demonstrate the marking of barcodes, text and logos on a variety of materials. Explore our variety of laser marking products, from OEM models to benchtop workstations to full turnkey solutions. Our product section allows you to filter by material, application, industry, and part size to find the best piece of marking equipment for your project.